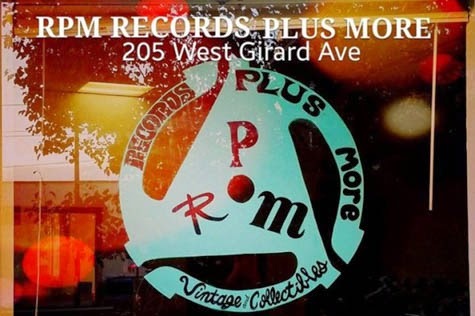 RPM Records Plus More / Vintage & Collectibles is a relatively new record store that has opened up in Philadelphia. I haven't had the chance to check it out just yet, but based on pictures of the store I've seen and various social media interaction, it looks like something special that the community should hold on to. The store's owners, Rachel O'Donnell and Craig Surgent, are very invested in local music and seemingly determined to better the community through art and music, keeping both available to the citywide subcultures through which our collective creative identity can (and should) thrive and evolve. It's important stuff. Anyway, the store's timing in opening its doors was apparently not great. Active late in 2014, customer intake has been slow thanks to rough weather, which has naturally led to decrease in walkability for local businesses. That being said, RPM Records Plus More / Vintage & Collectibles has a GoFundMe campaign set up to help the business persist. In addition to contributing to this campaign, if you're in the neighborhood, maybe head over and see what the store's about. I still have to do this as well, so this suggestion applies to me as much as anyone reading this. That being said, I felt I would be derelict in my duties if I didn't try to at least drum up some support for the store. After all, even in the Internet age, record stores continue to be hubs for both intellectual and creative exchange and development. If you're a human being, you've subsisted on art in any of its various forms of existence at some point in your life and it's through independent avenues that one can become truly inspired.